A communications satellite is an artificial satellite that is sent into space for telecommunications. 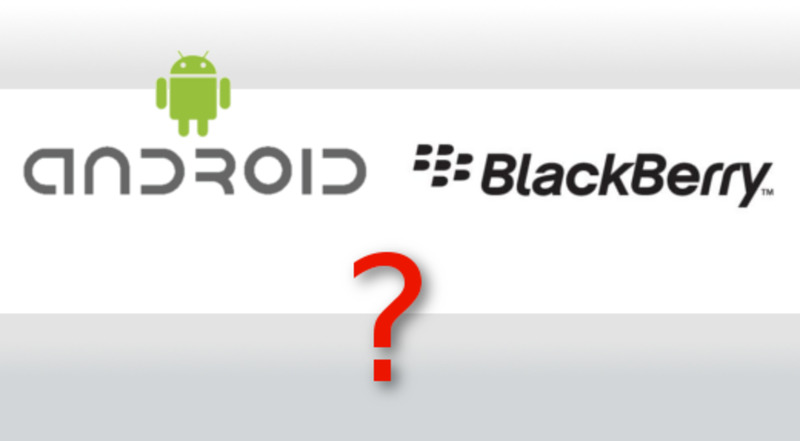 They have a variety of applications which include: telephone, television, radio, internet, and military. In 1963, he won the Franklin Institute's Stuart Ballantine Medal because of this idea. October 4, 1957. The Soviet Union successfully launched Sputnik 1. It is the first artificial satellite and is only the size of a beach ball. Sputnik 1 has four external antennas than can broadcast radio pulses. This satellite was able to determine the density of the upper atmosphere and gave scientists information about the ionosphere. 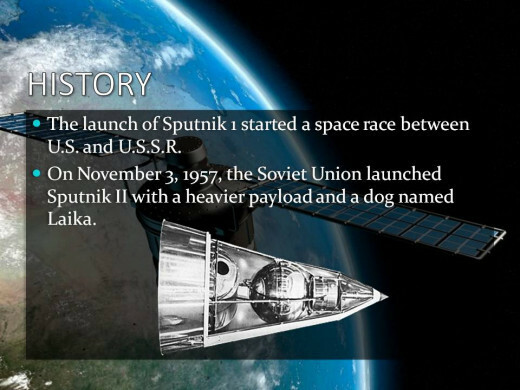 The launch of Sputnik 1 started a space race between U.S. and U.S.S.R.
On November 3, 1957, the Soviet Union launched Sputnik II with a heavier payload and a dog named Laika. 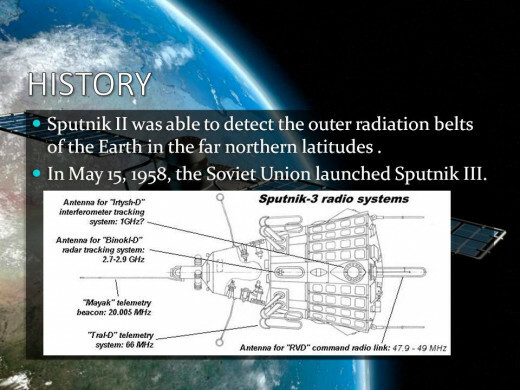 Sputnik II was able to detect the outer radiation belts of the Earth in the far northern latitudes. 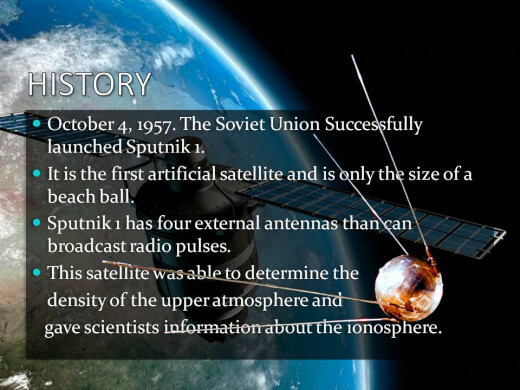 In May 15, 1958, the Soviet Union launched Sputnik III. 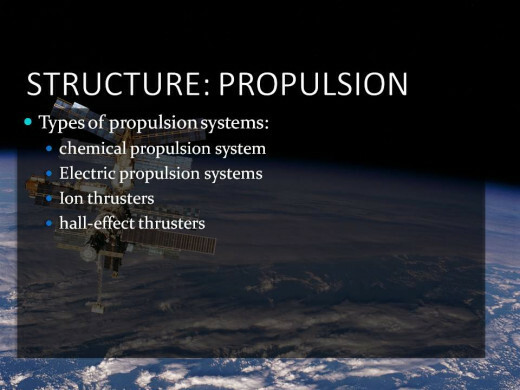 The instruments of this satellite were able to provided data on: pressure and composition of the upper atmosphere, concentration of charged particles, photons in cosmic rays, heavy nuclei in cosmic rays, magnetic and electrostatic fields, and meteoric particles. 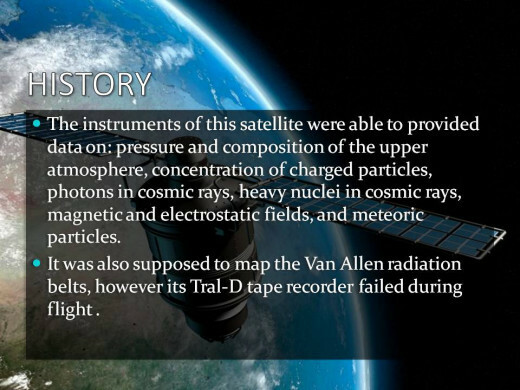 It was also supposed to map the Van Allen radiation belts, however its Tral-D tape recorder failed during flight . January 31, 1958. 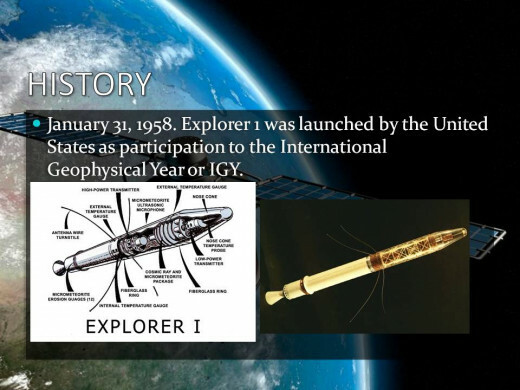 Explorer 1 was launched by the United States as participation to the International Geophysical Year or IGY. 1958. The United States launched the first artificial satellite that was able to transmit audio. It was called PROJECT SCORE. SCORE stands for Signal Communication by Orbiting Relay Equipment. Explorer 1 was the first satellite that was able to map the Van Allen radiation belt. It continuously returned data until its batteries failed after four months. 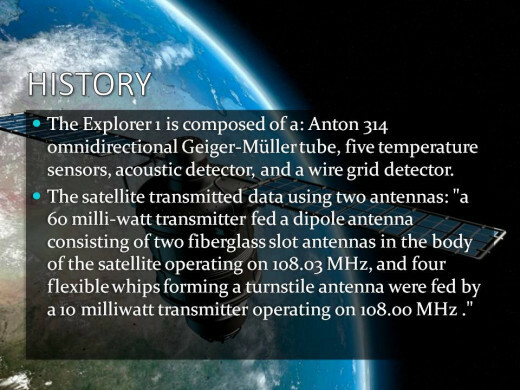 The Explorer 1 is composed of a: Anton 314 omnidirectional Geiger-Müller tube, five temperature sensors, acoustic detector, and a wire grid detector. The satellite transmitted data using two antennas: "a 60 milli-watt transmitter fed a dipole antenna consisting of two fiberglass slot antennas in the body of the satellite operating on 108.03 MHz, and four flexible whips forming a turnstile antenna were fed by a 10 milliwatt transmitter operating on 108.00 MHz ." In March 5, 1958, Explorer 2 was launched. 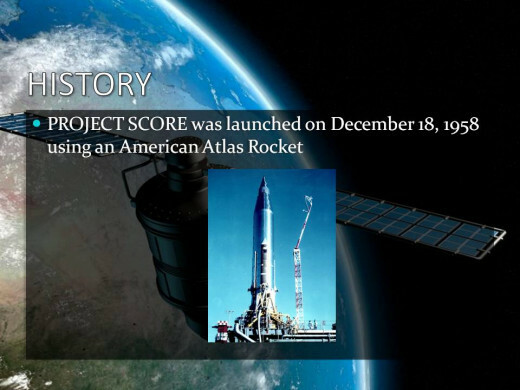 It had the same mission as Explorer 1. However, it did not reach orbit due to rocket failure during launch. In March 26, 1958, Explorer 3 was launched. It was equipped with a cosmic ray counter (a Geiger-Müller tube), a micrometeorite detector (a wire grid array and acoustic detector), and an on-board tape recorder . Data from Explorer 3 confirmed the existence of the Van Allen radiation belts. It successfully transmitted a Christmas message to President Dwight D. Eisenhower using audio recorded on tape. On December 19, 1958, PROJECT SCORE successfully transmitted a message from President Eisenhower to the world using short wave. "This is the President of the United States speaking. Through the marvels of scientific advance, my voice is coming to you from a satellite traveling in outer space. My message is a simple one: Through this unique means I convey to you and all mankind, America's wish for peace on Earth and goodwill toward men everywhere." Project Score re-entered the atmosphere on December 21, 1959. 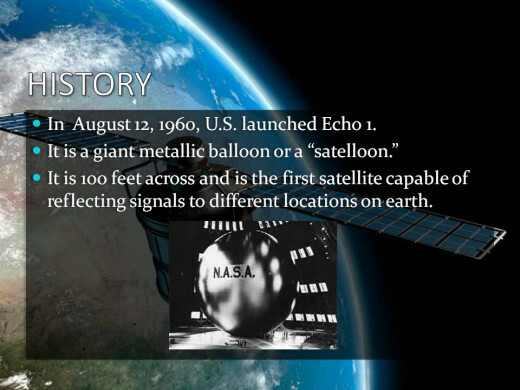 In August 12, 1960, U.S. launched Echo 1. It is 100 feet across and is the first satellite capable of reflecting signals to different locations on earth. 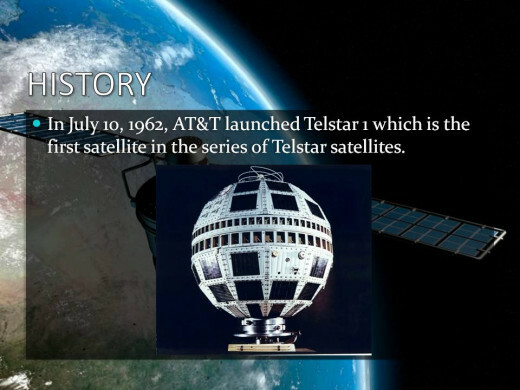 In July 10, 1962, AT&T launched Telstar 1 which is the first satellite in the series of Telstar satellites. The launch of Telstar 1 began a new age in electronic communications. Telstar 1 is designed to receive signals from a ground station and relay it back to another ground station on Earth. It is powered by 3,600 Solar Cells and NiCd batteries. It has 1,000 transistors and is capable of amplifying signals 10,000 times. It was successful in relaying the first television pictures, fax images, telephone calls, and live television feed through space. Telstar 2 was launched May 7, 1963. As of October 2013, Telstar 1 and Telstar 2 are still in orbit. It is an experimental communications satellite program consisting of Relay 1 and Relay 2. The Relay satellites are communications satellites which were the first satellites to broadcast television across the Pacific Ocean. The first broadcast was the announcement of the assassination of President John F. Kennedy. In August 1964, it was used to broadcast the 1964 Summer Olympics from Tokyo. As of September 12, 2009, both satellites are still in orbit. 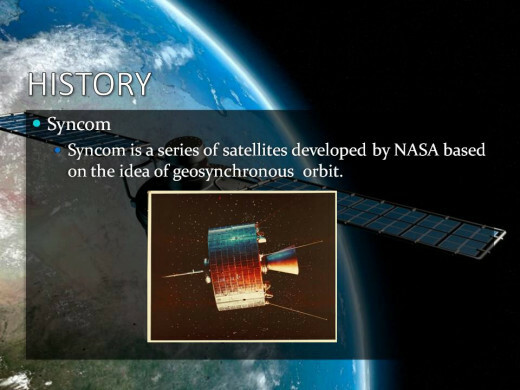 Syncom is a series of satellites developed by NASA based on the idea of geosynchronous orbit. Syncom 1 was launched in February 14, 1963 but it ceased working a few seconds after it reached its final orbit. It was followed by Syncom 2 which was launched in July 26, 1963. It was the first geosynchronous satellite. 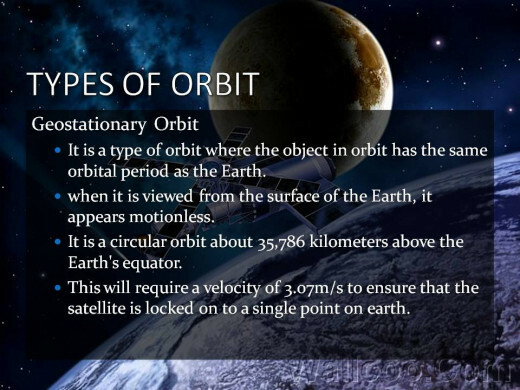 It is a type of orbit where the object in orbit has the same orbital period as the Earth. 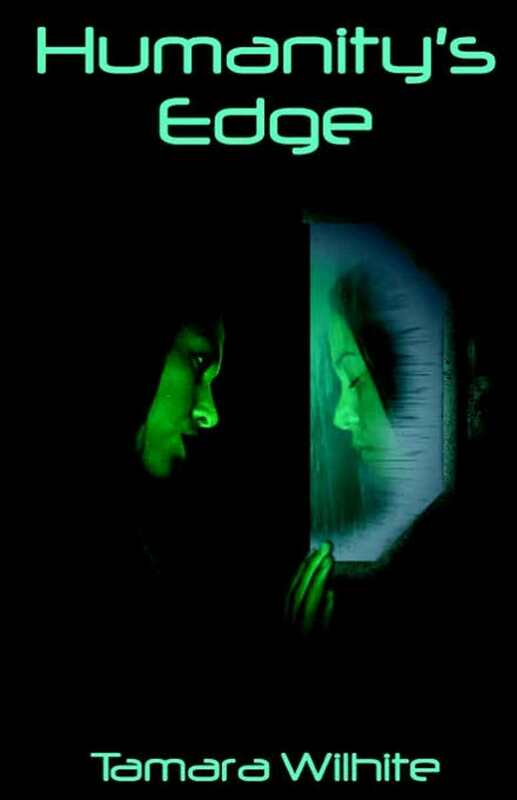 when it is viewed from the surface of the Earth, it appears motionless. It is a circular orbit about 35,786 kilometers above the Earth's equator. This will require a velocity of 3.07m/s to ensure that the satellite is locked on to a single point on earth. Factors such as lunar gravity, solar gravity, flattening of the Earth near the poles, and asymmetry of the Earth, affect the motion of objects in orbit. These are minimal at the equator. 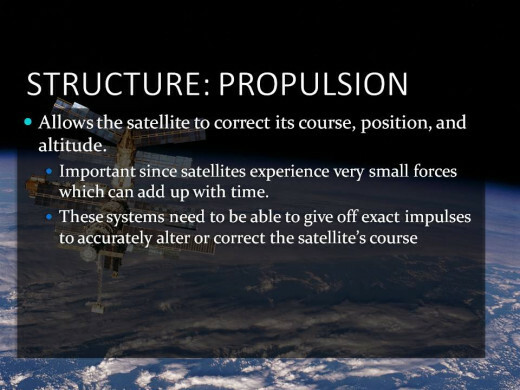 To compensate for this, maneuvers are done to restore the satellite to its proper position and course . Geostationary orbits are very far from the Earth's surface. This can cause latency problems. Because of the atmosphere, communication with geostationary satellites becomes more difficult and because of the horizon, at latitudes above 81˚, they cannot be seen at all. 320 to 800 kilometers above the surface of the earth. can complete a revolution in 90 minutes. Low Earth Orbit is the most cost efficient and simplest way to place communication satellites. 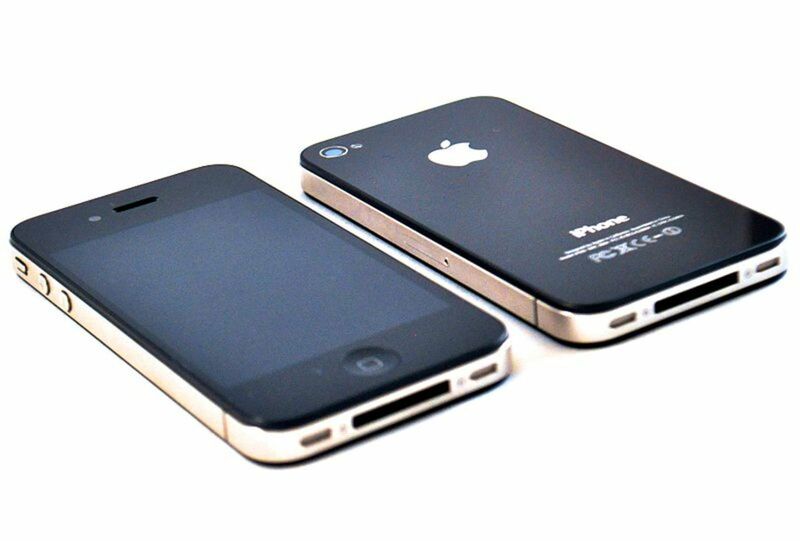 Because of its nearness to Earth, it is capable of providing high bandwidth and low latency. To achieve a stable low earth orbit, a satellite must be moving at least 7.8km/s. This decreases with an increase in altitude. 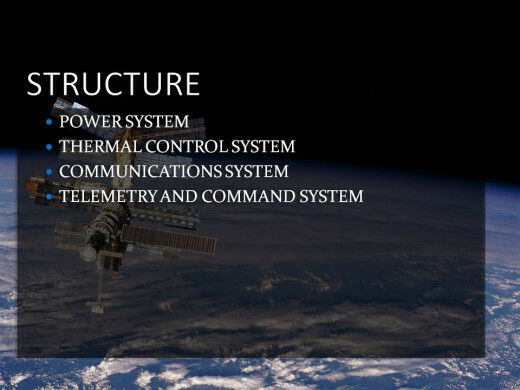 Since LEO is not a stationary orbit, a network of satellites, called constellation, is employed to provide continuous coverage. 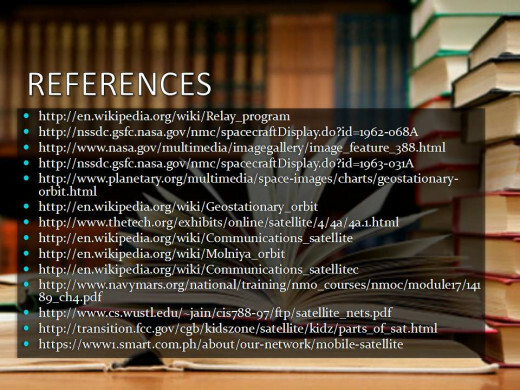 Examples of networks using satellites in this orbit are: Iridium phone system and Globalstar. A Low Earth orbiting satellite may provide discontinuous coverage by storing data it receives in one part of the orbit then transmitting it to another. This is done by Canada's CASSIOPE communications satellite . Subtypes of LEO include Medium earth orbit, Equatorial low earth orbit, and polar orbits. Molniya means Lightning in Russia. 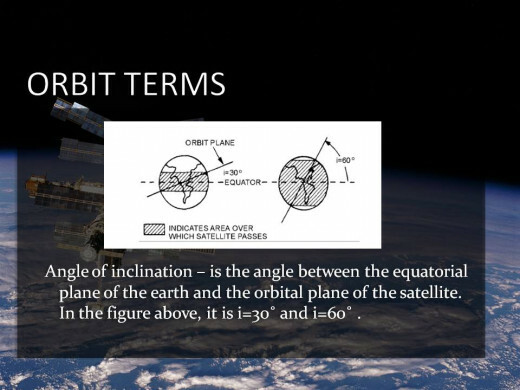 It is an elliptical type of orbit. It was named after Soviet/Russian Molniya communications satellites which have been using this since the 1960s. 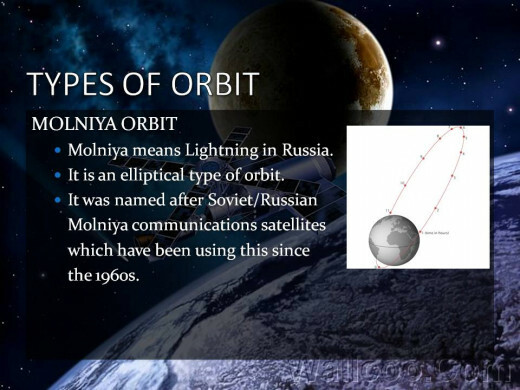 Molniya orbit is useful for high latitude receivers such as the Russia. Since there will be problems if a receiving station using a LEO satellite is located at higher latitudes, a Molniya orbit. The orbit is such that a satellite spends majority of its time while it is in apogee. 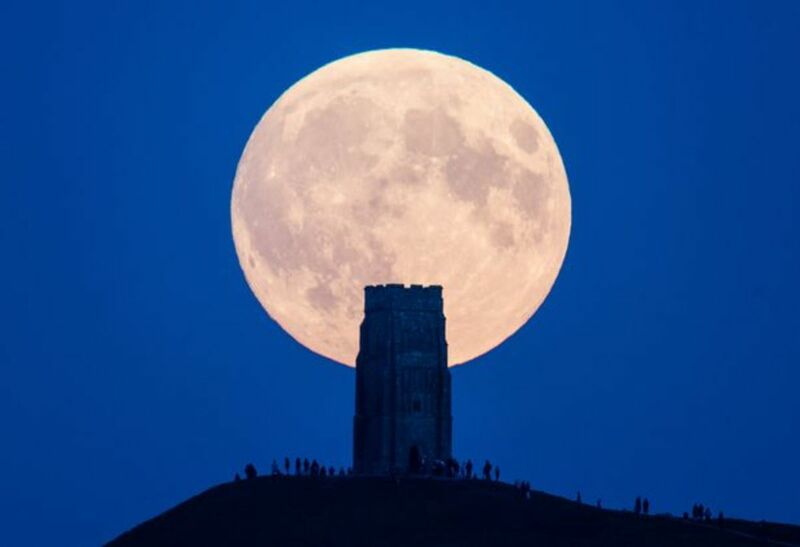 While it is in apogee, it moves slowly relative to the ground then moves faster as it gets nearer the Earth's surface. Its period is half a day. A single Molniya Satellite is available for operation for 6 to 9 hours every second revolution. 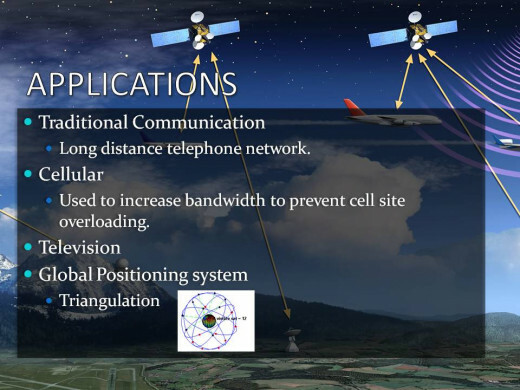 To provide continuous coverage, a constellation of three satellites are employed. 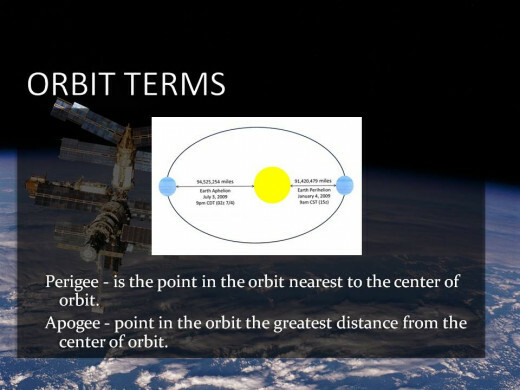 Perigee - is the point in the orbit nearest to the center of orbit. Apogee - point in the orbit the greatest distance from the center of orbit. 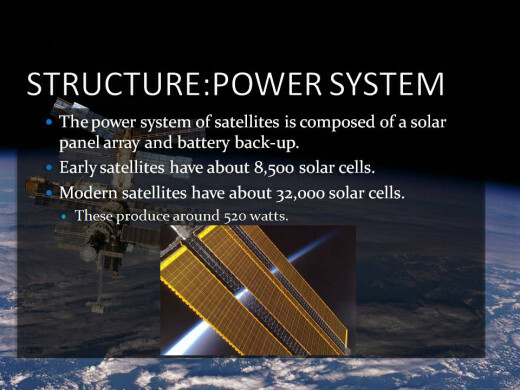 The power system of satellites is composed of a solar panel array and battery back-up. Early satellites have about 8,500 solar cells. Modern satellites have about 32,000 solar cells. These produce around 520 watts. Due to eclipses, satellites must have rechargeable batteries. 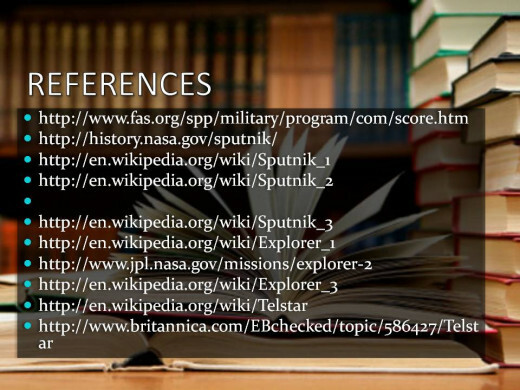 Early satellites use NiCd but were very heavy and have a low-charge density. 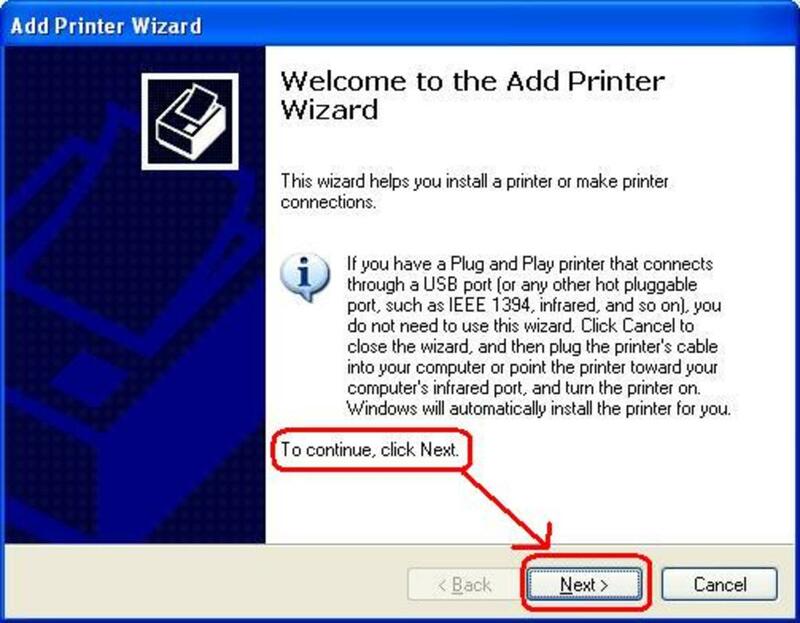 In 1990s, Ni-H2 was used which was lighter. 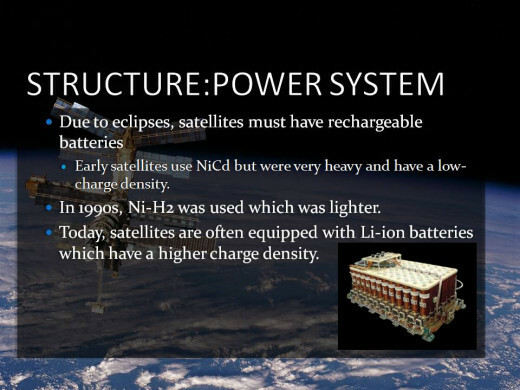 Today, satellites are often equipped with Li-ion batteries which have a higher charge density. 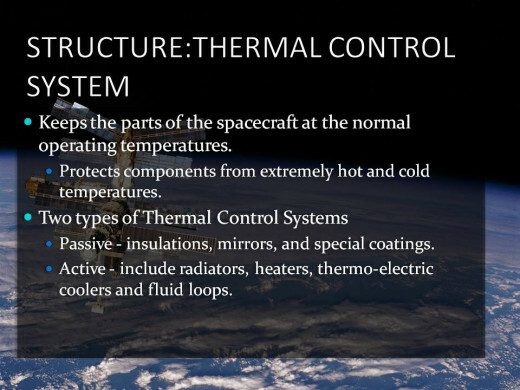 Keeps the parts of the spacecraft at the normal operating temperatures. Protects components from extremely hot and cold temperatures. Passive - insulations, mirrors, and special coatings. Active - include radiators, heaters, thermo-electric coolers and fluid loops. 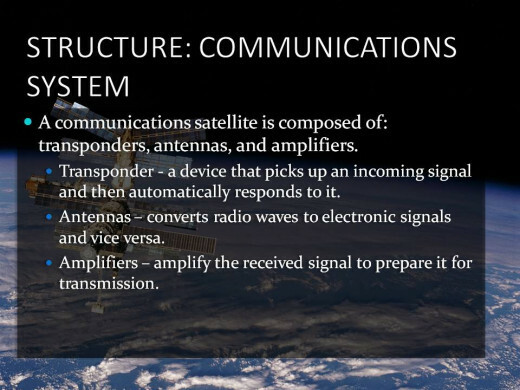 A communications satellite is composed of: transponders, antennas, and amplifiers. Transponder - a device that picks up an incoming signal and then automatically responds to it. Antennas – converts radio waves to electronic signals and vice versa. Amplifiers – amplify the received signal to prepare it for transmission. 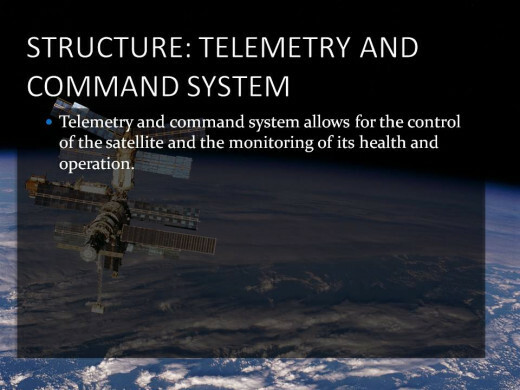 Telemetry and command system allows for the control of the satellite and the monitoring of its health and operation. 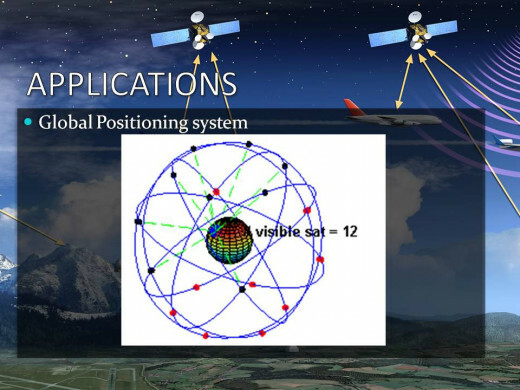 Allows the satellite to correct its course, position, and altitude. Important since satellites experience very small forces which can add up with time. 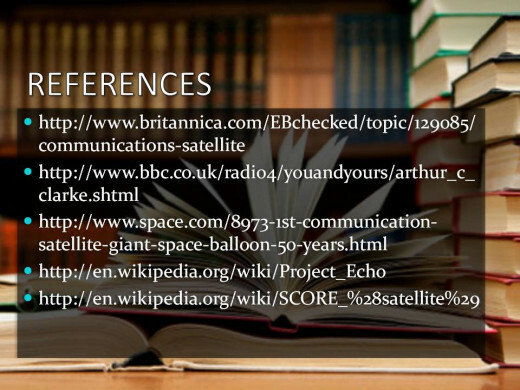 Receivers and transmitters from where communication satellites receive or send their signals. Often placed in remote locations to prevent RF interference. 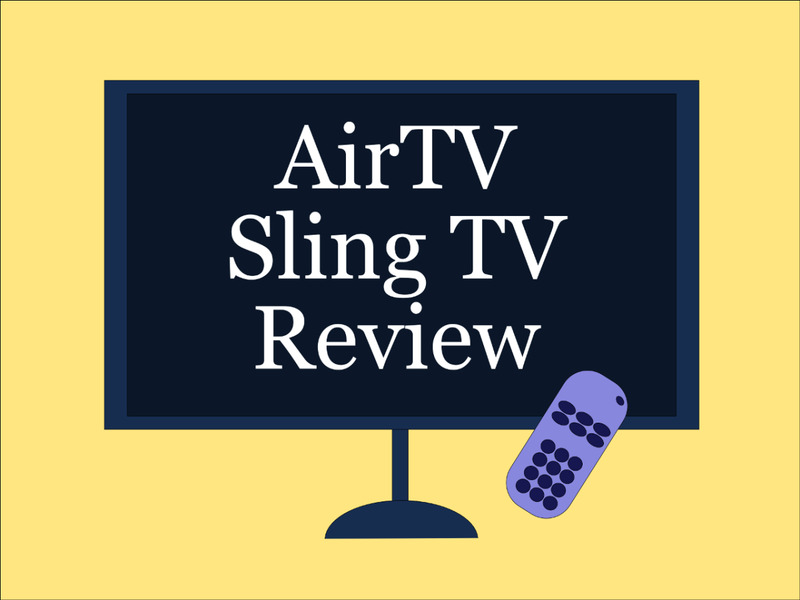 These are made up of a very large antenna, a very sensitive receiver and a very powerful transmitter. 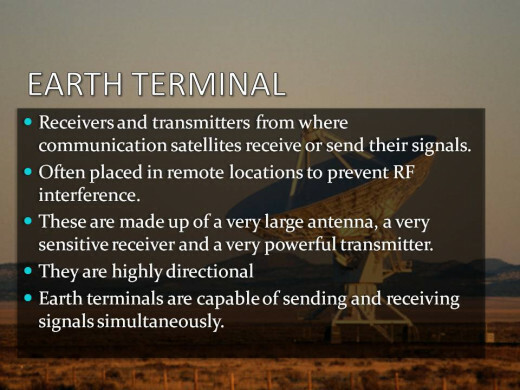 Earth terminals are capable of sending and receiving signals simultaneously. Used to increase bandwidth to prevent cell site overloading.